Since the state of Delaware is located on the shores of the Atlantic Ocean one can discover a vast assortment of lighthouses if you look closely. 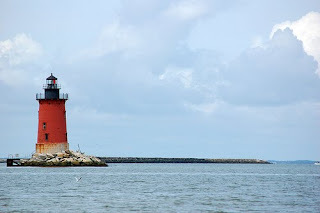 In the Lewes, Delaware area you can find boat tours that have been put together with the specific purpose of visiting the many lighthouses that have been protecting ships for over 100 years. The tour around the Cape May lighthouse area generally lasts for 7 hours. It is in all reality a multi-lighthouse tour of the area as you get to visit nine of the most popular lighthouses between New Jersey and Delaware. Those lighthouses include the Cape May lighthouse, the inner and outer breakwater lighthouses, Brandywine lighthouse, Miah Maul lighthouse, Fourteen Foot lighthouse, Elbow of Crossedge, Ship John Shoal and the Crossledge lighthouse. In total there are nine lighthouses that you will get to see on the grand tour. The tours are generally conducted aboard very luxurious ships with cushioned seating and plenty of air conditioning or heated cabin space. 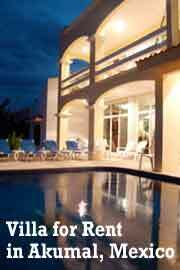 The upper decks are usually partially covered as well and present a wondrous view of the surrounding ocean. What could be better then to enjoy your breakfast on one of these cruise ships as you slowly pass one of the lighthouses that is on your itinerary? You and your family can sit and enjoy a delightful meal of Danish, Bagels, Donuts, Toast, Tea, Coffee, and Hot Chocolate and of course Juice. According to the time of your tours departure it is possible that you will be able to enjoy a lunch consisting of a Cheese or Veggie Tray as well as a selection of fresh local fruit and a variety of sandwiches. At certain times of the day hot menus are readily available for those who so desire then and are composed of Spiced Pork Tenderloin or Stuffed Tilapia. Eating on your lighthouse cruise is a culinary delight. The series of lighthouses that you will see during the cruise were constructed between the 19th and the 20th Century. All the lighthouses are still intact and fully operational although they are unmanned and completely automated at this time. Many of them are constructed on pedestals and the nearest land can not be seen from the lighthouses. All the trips include the necessary narratives to further explain the area and the lighthouses. Here is your opportunity to enjoy a visit to the first state and indulge in some great photos to enhance your album when you get home. The Great Lakes are a lighthouse hotbed too! You do get around. Liked the lighthouse picture! Nice shot!